I am proud to announce that A.5524-B/S.4407-B, legislation I authored, was passed by both the New York State Assembly and the New York State Senate this week and will now be sent to Governor Cuomo to be signed into law. The bill would prohibit the marriage of minors under the age of 17 and strengthen the process to obtain court approval for marriage of persons at least 17 years of age but under 18 years of age. The current minimum age to marry in New York State is 14. If a child is 16 or 17, she can marry with parental consent. If a child is 14 or 15, she can marry with parental consent and the approval of the court. 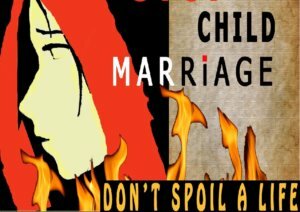 Current law enables children to be forced into marriage by their parents who bring their children before the court or the court clerk to provide their “consent” when in reality the parents have forced their child to marry, threatening the child with ostracism, beatings or death if the child refuses to marry. Children who are 14 and 15 years old should be worrying about their schoolwork and spending time with their friends. They are much too young to be married. We are seeing girls getting married to much older men who are being abused physically, mentally and emotionally. This is an appalling practice that destroys the lives of young girls. How has it been possible that we allow a 14-year-old to get married yet we don’t allow her any practical ways out? She can’t sue for divorce in her own name. Under current law, she has to sue for divorce through a parent, who likely forced her into the marriage in the first place, or through a guardian. We have needed to address this for a long time. According to Fraidy Reiss, executive director and founder of Unchained At Last, nearly 4,000 minors were married in New York between 2000 and 2010 and more than 84 percent of those children were minor girls married to adult men. Unchained At Last is the only nonprofit in the U.S. dedicated to helping women and girls leave or avoid arranged/forced marriages. The current court approval process for the authorization of marriage of persons under 16 hasn’t provided adequate protections for a child against abuse and fraud on the part of parents or guardians to force a child into marriage. This legislation will strengthen the process for marriage of persons at least 17 but under 18 by, among other things, requiring the appointment of an attorney for the child who must have received training in domestic violence including a component on forced marriage, and requiring the court to hold an in camera interview, separately with each minor party, and make specific written findings. The bill also provides that if the court approves the marriage, each minor party will have all the rights of an adult, including the right to enter into a contract, except for specific constitutional and statutory age requirements. Andrew Lanza sponsored the bill in the Senate.